Vivid colors can make the plainest basics become stand out pieces. 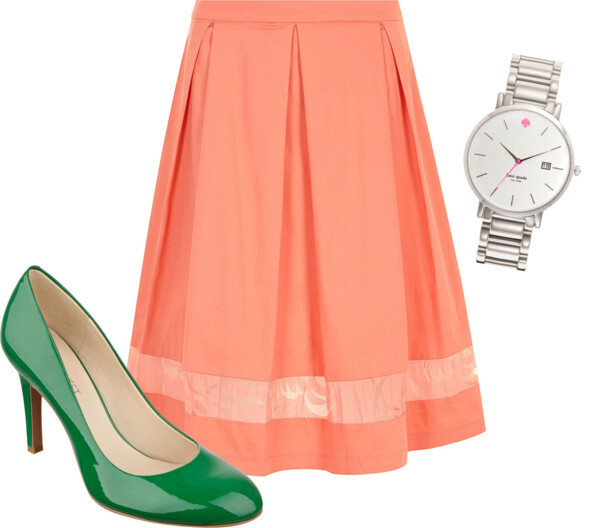 Refresh your daily workwear with items in delightful seasonal colors such as these classic pumps in forest green, midi skirt in sun-kissed peach and bracelet watch in a silver-pink combo. Yes, all items are now on sale!